We specialize in long-term, severe, acute, chronic cases to effectively manage pain without surgery. The first step to formulating each treatment plan is testing and a thorough examination. 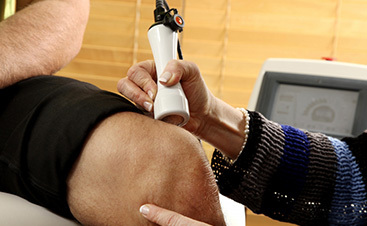 We strive to identify the root cause of symptoms to determine the most effective approach for you. Then we implement a targeted treatment strategy that emphasizes relief and reduced chances of relapses. By integrating the best techniques and treatments available from these various disciplines into a unique plan of action for each patient, we get better and faster results without the use of addictive medications or costly and painful surgery. In those rare cases where we are unable to help a patient, we have referral relationships with the area’s best surgeons and pain management specialists. Originally from Evansville, IN, Dr. Eric Mitz received his doctorate at Logan University’s College of Chiropractic in 1996. Today he is a licensed acupuncturist, as well as a lecturer and teacher of biomedical acupuncture. Currently, he works as the director of a postgraduate acupuncture program training physicians who wish to use biomedical acupuncture and dry needling in the treatment of sport’s injuries and pain. Dr. Mitz is a Diplomate with the American Academy of Pain Management – DAAPM. 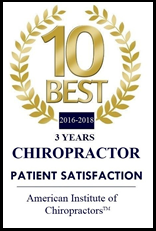 He is currently the only chiropractor holding this distinction in the state of Indiana.